Quitting cigarettes, or any nicotine product for that matter, is extremely difficult and can often take years to accomplish. 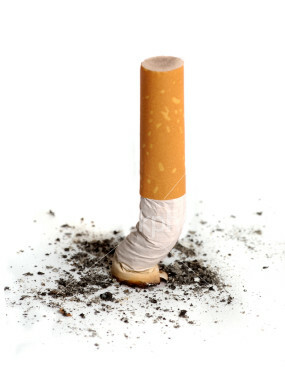 Despite there being a number of smoking cessation products available, determining which is the right one can be tricky. Many smokers will juggle back and forth between certain products before finding the one that works. New research suggests that how people metabolize nicotine differently may hold the answer to finding out which smoking cessation product will work best for each patient, Medical News Today reports. The study was joint research project between four different universities. A total of 1,246 treatment-seeking smokers were recruited for the study, according to the article. After testing the metabolisms of each smoker, participants were separated into two groups. There were 662 "slow metabolizers" and 584 considered to be "normal metabolizers." Each participant was given 11 weeks of treatment with behavioral therapy, but the kind of treatment each participant received was random. Participants were assessed at the end of the 11-week period, then again at 6 and 12 months. The nicotine patch plus a placebo pill. Among the normal metabolizers, nearly 40% of varenicline users had not relapsed compared with 22% of patch users. Among slow metabolizers, the results were found to be about the same. However, slow metabolizers who were given varenicline reported more overall side effects, leading researchers to believe that slow metabolizers would benefit more from patches than pills. "Matching a treatment choice based on the rate at which smokers metabolize nicotine could be a viable strategy to help guide choices for smokers and ultimately improve quit rates,” says lead author Caryn Lerman, PhD, professor of psychiatry and director of Penn Medicine's Center for Interdisciplinary Research on Nicotine Addiction. “These findings not only support the use of the nicotine metabolite ratio as a biomarker to guide treatment choices, but also underscore the notion that tobacco dependence is a heterogeneous condition and that smoking cessation treatments are not equally effective for all smokers." The findings were published in The Lancet Respiratory Medicine.